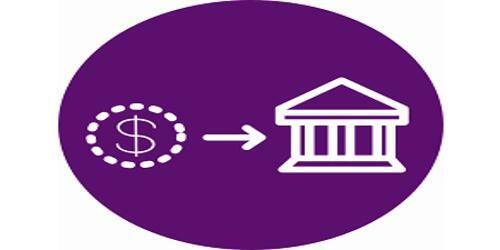 In the financial market, there are many types of financial institutions or intermediaries exist for the flow of funds. Some of them involve in a depositary type of transactions whereas other involve in a non-depositary type of transactions. Non-depository institutions are not banks in the real sense. They make contractual arrangement and investment in securities to satisfy the needs and preferences of investors. The non-depository institutions include insurance companies, pension funds, finance companies and mutual funds. Insurance companies are the contractual saving institutions which collect periodic premium from an insured party and in return agree to compensate against the risk of loss of life and properties. They pool the small premiums of the insured to pay the larger claims to those who have losses. The premium payments are regular while the losses are irregular, both in timing and amount. Pension funds are financial institutions which accept saving to provide pension and other kinds of retirement benefits to the employees of government units and other corporations. Pension funds are basically funded by corporation and government units for their employees, which make a periodic deposit to the pension fund and the fund provides benefits to associated employees on the retirement. The pension funds basically invest in stocks, bonds and other type of long-term securities including real estate. Finance companies are the financial institutions that engage in satisfying individual credit needs and perform merchant banking functions. In other words, finance companies are non-bank financial institutions that tend to meet various kinds of consumer credit needs. They involve in leasing, project financing, housing and other kind of real estate financing. Mutual funds are open-end investment companies. They are the associations or trusts of public members and invest in financial instruments or assets of the business sector or corporate sector for the mutual benefit of its members. Mutual funds are basically a large public portfolio that accepts funds from members and then use these funds to buy common stocks, preferred stocks, bonds and other short-term debt instruments issued by government and corporation.